On this day in 2005, Manchester United signed Nemanja Vidic. There’s a perfectly good reason Nemanja Vidic is considered one of the greatest defenders in Premier League history- and that’s because, quite simply, he is. The towering Serb joined Manchester United for just £7million back in 2006, going on to clinch five Premier League titles, one Champions League and whole host of other silverware. Vidic orchestrated United’s back-four for eight years in total, eventually becoming club captain before deciding to leave after the disaster that was David Moyes. It’s also worth noting that United also signed a certain Patrice Evra for just £5.5million in the same January window. Some very tidy business indeed. 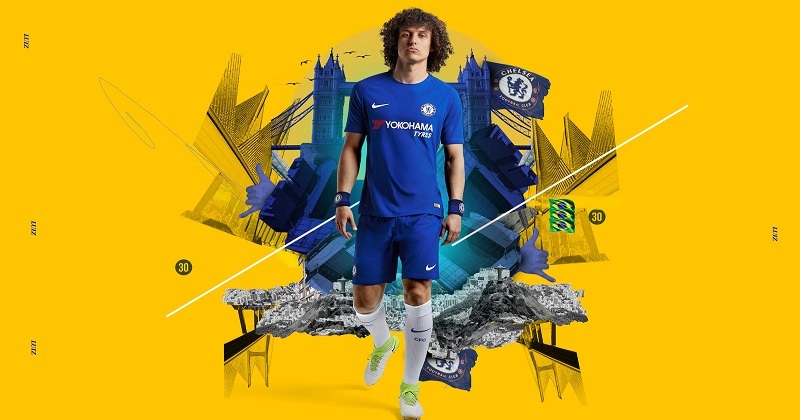 Gary Neville famously compared David Luiz’s playing style to that of a 10-year-old on a PlayStation, but that didn’t stop the Brazilian centre-back from quickly becoming a cult-hero over at Stamford Bridge. His erratic style of play, outrageous haircut and his unexpected ability to hit a decent free-kick or two all contributed to the fans’ adoration of him. Of course, the fact that he helped them to both a Champions League and Europa League title will undoubtedly have worked in his favour, despite the fact he left for PSG in 2014. However, we all know Luiz is back where he belongs now, even if what seems to be a slight falling out with Antonio Conte has seen him fall down the pecking order. The greatest ever January transfer came in the same window as Luiz, as Liverpool went ahead and snapped up Luis Suarez from Ajax for just £22.5 million. The rest is history. No matter what your opinion is on his temperament or antics on the pitch, you just can’t deny that Suarez was one of the most talented players to ever grace English football. He might not have won the Premier League (what Liverpool player has? ), but teams just couldn’t handle his sheer ability with a football, especially as he forged his famous ‘SAS’ partnership with Daniel Sturridge. If it wasn’t for that Steven Gerrard slip, there’s no doubt Liverpool would have gone on to win the league that year. But, despite the lack of silverware, Luis Suarez is certainly the best-ever piece of business conducted in the January transfer window. Looking to do a bit of your own January deal-hunting? Then go ahead and compare prices on all kinds of football boots and kits right here with FOOTY.COM!